and that every inclination of the thoughts of their hearts was only evil continually. Some of you have seen that I have revived my Groundling blog over the past month, now that I am gainfully unemployed and have more time to reflect x 2. The irony is that I have a passion for faith connected to the environment, and a conviction that " to live with respect in Creation" is God's call to all of us and vital to our survival as a species. There are days when I wonder whether an emerging story is grist for this Lion Lamb blog or Groundling, and of course it can be both. In fact, today I'm publishing the same content for Lion Lamb and Groundling. This is a reminder that the warnings of climate scientists about the increasing severity of weather events must be heeded. It is also a story about perceptions of justice and the gap between haves and have-nots in the United States. 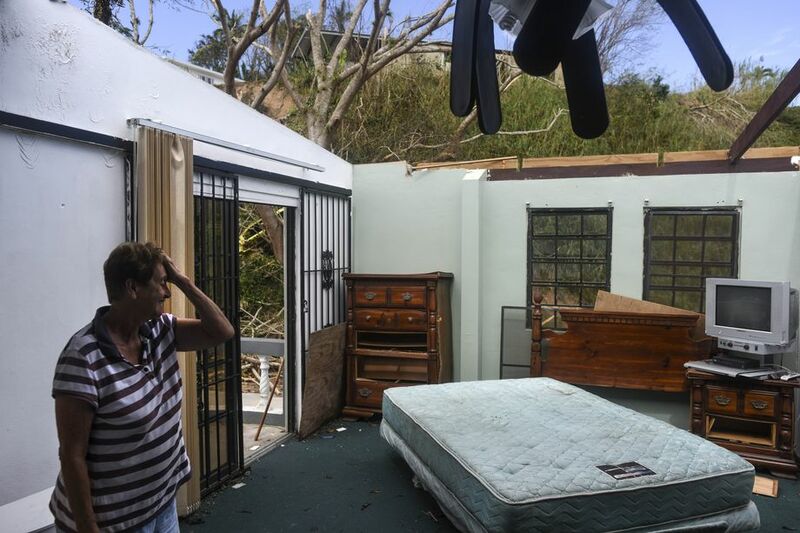 Puerto Ricans are American citizens but the response to their plight was woefully inadequate and it would be hard to imagine that people along the Gulf Coast of the continental United States would be treated with the same disregard. The enduring image of President Trump tossing packages of paper towels into a crowd when he visited in the immediate aftermath of Maria is frankly disgusting and racist. Politicians in the US who were of Puerto Rican background knew this and spoke out, but were largely ignored. The biblical story of Noah is a powerful myth, one which may not be factual but is true. We are inclined as humans to entertain and distract ourselves from the essentials of our existence and when we ignore the hardship of others with issues which don't really matter (kneeling during the national anthem at a sports event?) then we offend God. While the story of Noah ends with a rainbow and God's promise not to inflict such a cataclysm on humanity again, there is no assurance we won't do this to ourselves. Well, this may be a rather ominous start to your day, but surely we need to be paying attention. It's never too late, is it?